The conventional wisdom of most economists and market participants is that trade wars are bad: they slow down growth, increase the cost of goods and services, hurt domestic industries, and create retaliatory cycles, among other problems. The academic theorems that outline the disadvantages of tariffs are derived from century-old historical examples. Those references on the disadvantages of trade wars, based on historical data, are accurate for that period of time. However, trade wars are an ultimate exercise in game theory, which make the conventional disadvantages contingent on the outcome of the game, and the rules of the game have changed since the late 19th and early 20th century trade wars, so those historical references may not accurately predict future outcomes. The question here is not to debate the merits of a trade war, but to examine the actual macroeconomic implication of a trade war on the current U.S.-China trade landscape. 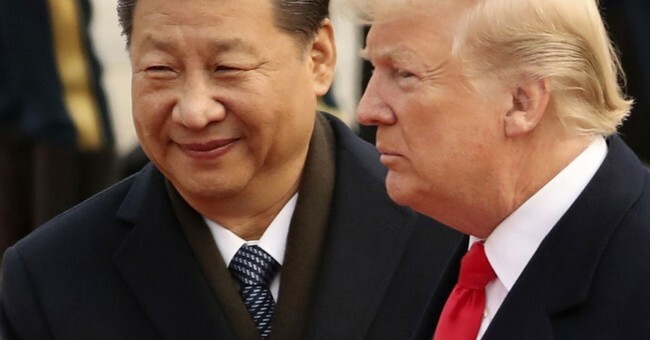 Although the Trump administration and the government of President Xi Jinping are both playing a high-stakes exercise in game theory, each side is playing a different type of game. The United States is involved in a cooperative, asymmetric, non-zero-sum, sequential, discrete hybrid of the game’s variant; whereas China is engaged in a non-cooperative, symmetric, zero-sum, simultaneous, discrete hybrid version of the game. So far, the United States is winning the game. The Trump administration’s trade and economic policies toward China are having unintended macroeconomics consequences in the Asia labor market and is also forcing Chinese policymakers to apply more neoliberal economic policies to their own domestic market, with considerably more flexible monetary policies, compounding structural deficits towards the basic fundamentals of growth. China dominates the markets for skilled labor, technology transfer, due to U.S. outsourcing that commenced in the early 1990s, and was followed by Eurozone countries doing the same. As a result, China has enjoyed consistent economic growth for the last 28 years. The retaliatory tariffs imposed by Beijing on U.S. goods and services, and the uncertainty of Chinese policies towards U.S. manufacturers and counterparts, combined with intellectual property abuses of Chinese industries against U.S. entities, is providing an opening for other Asian markets to transition to production markets. China’s neighboring countries are going to be indirect beneficiaries of a U.S.-China trade war – with Indonesia, Malaysia, and Vietnam attracting new American foreign direct investments. As highlighted by comments of Indonesian Vice-President Jusuf Kalla in Jakarta on Jan. 8, 2019, Indonesia is a direct beneficiary of a fresh wave of foreign investments, and an increase in its labor market employment. Beijing’s retaliatory policies will have a further negative impact, deepening the disadvantages of the trade war for China. Push to Neoliberal Economic Policies? Historically, the neoliberal agenda is defined as increased competition through deregulation and opening the domestic markets to foreign competition; and secondly, limitations on the ability of the government to run fiscal deficit and accumulate debt. Although neoliberalism can fuel growth, it can also have a negative impact depending on the capital flows and fiscal space of the intended country. Given the projected slowdown in China, Beijing’s policymakers are likely to adopt neoliberal policies. The sharp decrease of capital inflow to China in the form of American foreign direct investments inevitably leads to further declines in growth. The current capital controls in China will address any sudden capital outflow; however, China doesn’t have as much fiscal space as the United States does, and the current Chinese debt standing at 47.6% of GDP is an unreliable number considering it doesn’t affect regional and territorial debts. The slowdown of the Chinese economy further erodes any prospect of paying down the debt through growth. Beijing in turn has turned to fiscal consolidation better known as austerity with tax increases and expenditure cuts to bring the debt down. However, considering the Chinese obsession with growth, Beijing will offer a stimulus through tax cuts, which further decreases the fiscal room of the Chinese economy as a whole in the medium and long term – slowing down China’s growth. U.S. retail and institutional investors are concerned with the impacts of the trade policies between China and the United States on the U.S. stock market. But any decline in U.S. equities is going to be short lived. U.S. equities rose 26% in 2017; and although there was a drop of 6% in 2018 – the net aggregate of 2017 and 2018 puts the U.S. equities return at 10% per annum, which beats the historical average of S&P returns of 6.7% by nearly 3%. Furthermore, the market as of February 22nd is near the record high of September 2018. The overall outlook for U.S. equities in 2019 is still positive regardless of the U.S.-China trade war. In January 2019, the People’s Bank of China injected $83 billion into the country’s financial system. The move was an unprecedented one-day injection to avoid a cash crunch. The bank has pledged more support for the economy if necessary, while communicating that it will not create a “flood-like” stimulus that increases support but leaves a mountain of debt. Given the obsession of the Chinese ruling party with growth, if the trade war continues, the People’s Bank of China might have no option but to create a flood-like stimulus and face the consequences of mounting debt.